A weekend of conversations, collaborations and exchange of ideas with people from diverse fields such like design, performing arts, entrepreneurship and education – all under the Goan sun. The fifth edition of The Goa Project is all set to kick off on October 6 at Panjim in Goa. 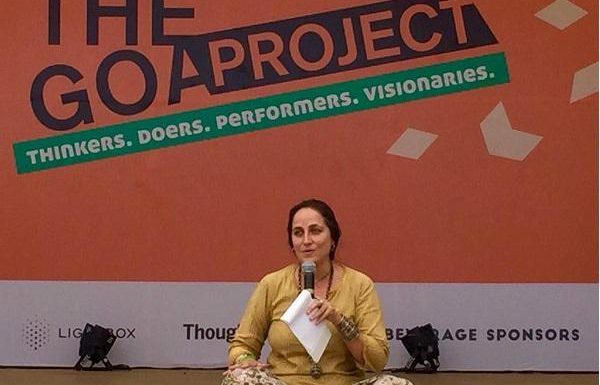 A crowdsourced un-conference, ‘The Goa Project’ this year is focused on eight tracks: music and sound, design, interactive media and cinema, performing arts, fringe and geekery, society/ education, workshops and presentations. This volunteer-run program invited proposals under various formats such as lecture, debate, workshops, Q&As and more. There will be sessions such as the potential impact of cryptocurrency; how to redefine your skills in a gig economy and Scuba Sutras – practical start-up lessons from scuba diving, what we’re doing today to fix the gender disparity in the tech world versus what’s needed to get more women onboard to use technology as a tool in the process of creation. TGP will see speakers such as Avirook Sen, Author of Arushi who will speak on the notion of what it means when multiple worlds intersect, especially when the many different versions of “middle class India” intersect with the various other Indias. Dr. Shailesh Kumar, VP Data Science and Analytics at Ola is another keynote speaker who will speak on the topic ‘Teaching Machines – the Next Frontier for Artificial Intelligence’. There is also a talk by Anand Kulkarni, an award winning Writer-Director — perhaps the only one from India — who makes ad films and independent cinema for a living and is technically blind. Every year, The Goa Project also acts as ground zero for many ideas and projects to take off, either through an initial round of seed funding or an interesting collaboration of creative minds. Four projects will be chosen to present their ideas and pitch for funding at the event. This year, three projects have been chosen to present their ideas and pitch for funding at the event. These are Pehli Pehel by Zubaan, a project to create an integrated independent music scene in India; Chor Police, a board game by think tank Ideas ‘R Us and Extreme Nation is a feature documentary film on the subculture spawned over years of metal music in India. In its previous editions, The Goa Project has offered new impetus to many projects and has raised the largest amount in a non-VC supported real-time fundraising. In previous years, projects such as Menstrupedia, Greenopia, For the love of A Man, and The Yellow Chair have raised funding at the event. As mentioned earlier, The Goa Project will be held on October 6 and 7 at Bay 15, Panjim and registration for attendees is still open.